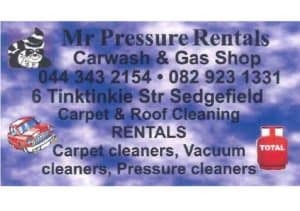 Sedgefield business info can also be found on the GR&KK official App. Sedgefield business info can also be found on the GR&KK official App. Use the search filter to find Sedgefield local business or scroll down below and find the Sedgefield local business you are looking for. 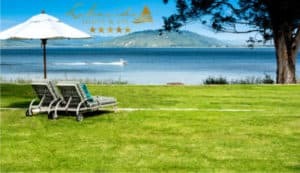 This lovely resort, situated in the heart of the Garden Route, is built on the hills which overlooks the magnificent Garden Route Lakes district. Eagles Nest is conveniently situated just off the N2 on Route between Cape Town and Port Elizabeth only 10 km from Sedgefield and 11,5 km from Wilderness. The resort offers calm and tranquil surroundings with captivating and panoramic views of Swartvlei, Rondevlei and Langvlei Lakes with the majestic Outeniqua Mountain range in the back drop. Eagles Nest is 10.9km from the center of Sedgefield on route to the Wilderness. SEDGEFIELD ENDLESS BEACHES! NATURE TRAILS! BOATING! FISHING! The village of Sedgefield where the tortoise set the pace and communing with nature is a way of life. Nestling between pine covered hills and beautiful unspoiled beaches lie Sedgefield, in the heart of the Lakes district and the Garden Route, between George and Knysna. 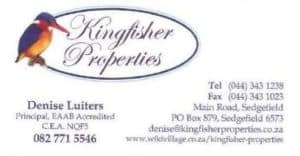 Residents and agents for 19 years in Sedgefield. We believe that there is no substitute for professional service. This 5 star boutique hotel offers 9 bedroom suites which are luxuriously appointed and have breathtaking views of the Swartvlei Lake. Enjoy a treatment at the spa, a luxury pontoon boat ride on the lake, the boma fire with sweeping views of the Garden Route and enjoy breakfast, lunch and dinner at the beautiful Benguela Brasserie & Restaurant. Lakeside Lodge & Spa recently won a Knysna Award for the Best Tourism Establishment. Guests can expect excellent service and all things luxurious during their stay. 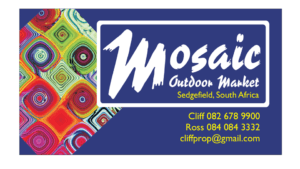 Mosaic Market is situated in Sedgefield, South Africa. Sedgefield is well known for its laid back lifestyle and has attracted many artists and artisinal crafters to its shores. Situated alongside the beautiful Swartvlei the site offers an easily accessible location for visitors and locals. Mosaic Market provides a platform for crafters and foodies to present their products. The food court offers comfortable seating and a wide array of tasty eats and drinks. The site has been host to crafters and artists for many years and has now been fully re-built to provide the traders with comfortable stalls. This is an ideal place to meet on a Saturday, come visit us. Just off the N2 alongside the Engen Wimpy, Sedgefield. Tel: 044 343 2154 or use “Click to Dial” – link below. Also Clean Motor Bikes-Caravaans, Cleaning of Engin + Chassis, ect. Nestled on a farm situated between Wilderness & Sedgefield, one will find Oysters R Us. Having supplied restaurants since June 2012 and opening to the public in December 2012, Oysters R Us has become a destination stop – not only for Tourists and tour bus groups, but also for the local folk. The heart and soul of the business is clearly evident when meeting owners: Natasha De Freitas and Natalie Oliver. Their enthusiasm for the business, love of oysters and warm hospitality can be instantly felt when visiting the establishment. Only fresh oysters are available and these are sourced from commercial permit holders along the garden route coastline or from the West coast. Come and see the oyster tank system that can hold and keep up to 4000 oysters live. This rustic experience is not to be missed. Whether you are eating fresh oysters on the farm or collecting a take away, Oysters R Us is a definite must! For more info please visit our Website – link below. 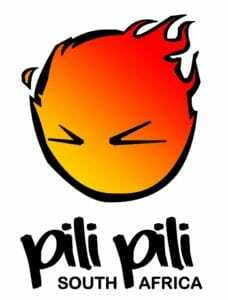 Myoli is one of the top wave-riding beaches on our coast and PiliPili Beach Bar is our venue on Myoli beach, Sedgefield. Come and join us for awesome downwinders on our pristine coastline, an ice cold beer or a glass of wine from Bonnievale Cellars. There is a restaurant on the premises and accommodation on the roof with stunning sea views. White Shark Africa where one can dive with Great White Sharks. André Snyman is the owner and Director of Daecom SA and ProTechSA. A familiar face, André is known and respected in the Garden Route for his honesty & professionalism, extensive industry knowledge and commitment to service excellence. Cell: 083 399 9914 or use our direct “Click to Dial” – link below. We pride ourselves on providing a reliable and informative holiday experience. Our clients have the convenience of private traveling to and from destinations that are tailor-made to suit their interests and pocket. Our vehicles are air-conditioned, spotless and well maintained. Our vehicles comply with the South African requirements for annual road worthiness and passenger liability insurance. 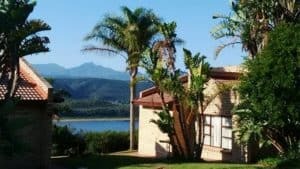 Discounts for accommodation in Mossel Bay and Sedgefield can be arranged for our Routes and All clients visit www.staygardenroute.co.za – Discount will only apply if bookings are done through Routes & All. 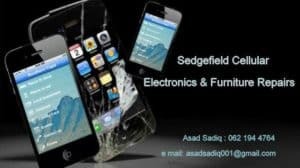 Sedgefield Cellular Electronics & Furniture Repairs. 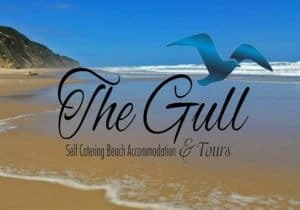 Welcome to The Gull self-catering beach accommodation located on the Myoli beach front in Sedgefield which is distanced equally between Knysna and the Wilderness in the Garden Route and is ideally located to all of the Garden Routes attractions. The accommodation consists of a comfortable fully equipped cottage and a comfortable fully equipped apartment, that are separate from one another. Both the cottage and the apartment can be booked out at the same period for larger groups but not exceeding 10 people. Cell: 082 900 5476 or use direct “Click to Dial” – link below.